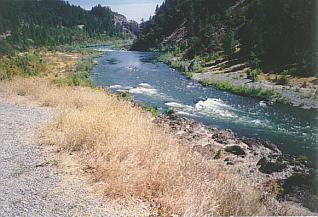 The Reservation was created in part, in gratitude for one of the local Indians, Umpqua Joe, who in 1855 warned white settlers in the area of a pending massacre. Thanks to Joe's warning the settlers were able to thwart the Indians attacks. Joe was allowed to stay on the land and operated a ferry for local miners. When Joe died in 1886, which is a story in itself, his oldest daughter named Mary and known as Indian Mary by the locals, stayed on the property and continued to operate the ferry. Not long after Joe's death, the area under the Indian Homestead act, became a reservation, thus showing the nations gratitude and assuring that Mary would maintain control over the property. 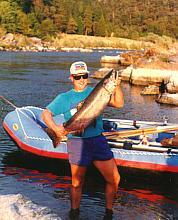 Eventually she leased the property to the local stage line and moved to Grants Pass. 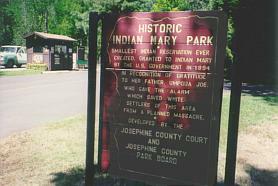 The property changed hands several times and was purchased by Josephine County in 1958 to be converted into what is now known as Indian Mary Park. Whether you enjoy white water rafting, fishing, swimming, hiking or just sitting back relaxing and watching the sun shine, Southern Oregon with its clear blue skies, fresh air and beautiful scenery makes the ideal setting for Indian Mary Park. Once you visit you will want to come back again and again! The Park has 46 acres of developed space with an additional 15 acres undeveloped. There are 44 hook up sites (50 amp service). Also, there are 12 partial sites which offer electricity and water. Tent campers will find 36 sites to choose from. 3 rest room buildings, two of which offer shower facilities. A.D.A. Tent & picnic area are available for the disabled. 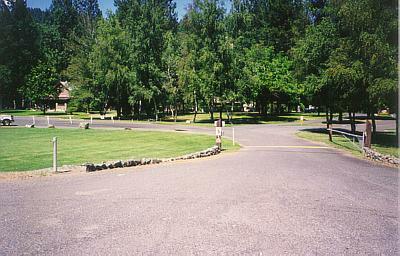 A large picnic area, a picnic shelter and boat ramp are located in the park. Enjoy Salmon and Steelhead fishing, swimming, White water rafting, hiking, bird watching, fine dining, jet boat tours, golf courses, and the list goes on and on. 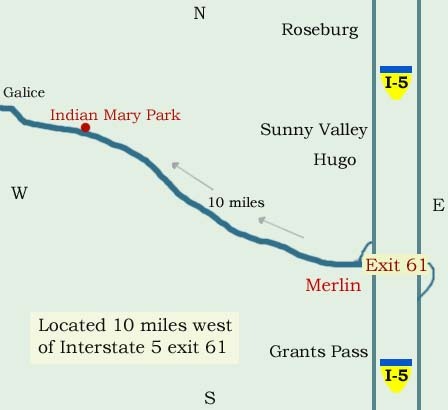 of Interstate 5 exit 61. Reservations can be made online at	co.josephine.or.us/camping or more information on Indian Mary call park's department: 541-474-5285 option #1.
Business hours are 8 a.m. to 4:30 p.m. Monday through Friday. Please Contact the Park for any questions. Rogueweb can not answer questions. Area, Please Use Menu Above.